Watch out for rebrands as Waitgrouse and Shotlead. 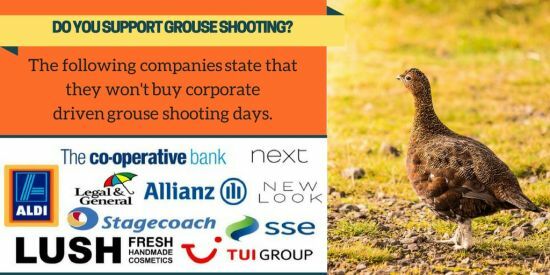 Saturday 12th August is the start of the 121-day-long grouse shooting season. Ethical Consumer is asking consumers to buy from the good and avoid the bad during this year’s shooting season.